If you’ve been around Western and Belmont lately, you’ll know that the overpass there is gone. 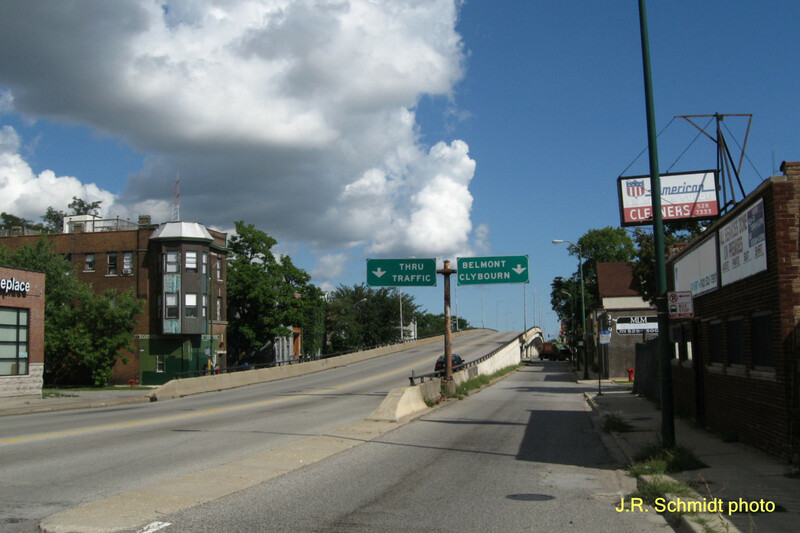 The viaduct that carried Western Avenue over the intersection was built in 1962, to aid traffic flow at the adjacent Riverview amusement park. Riverview closed five years later, but the viaduct stayed in place. In 2013 the city decided to tear down the crumbling structure, rather than replace it. I wrote about this in one of my last WBEZ stories. Now they’ve finally gotten around to doing so. Most planners didn’t worry much about aesthetics a half-century ago. Or if they did, they argued that form must reveal function, without any sort of artificial embellishments. I always thought this was just an excuse to cut costs. 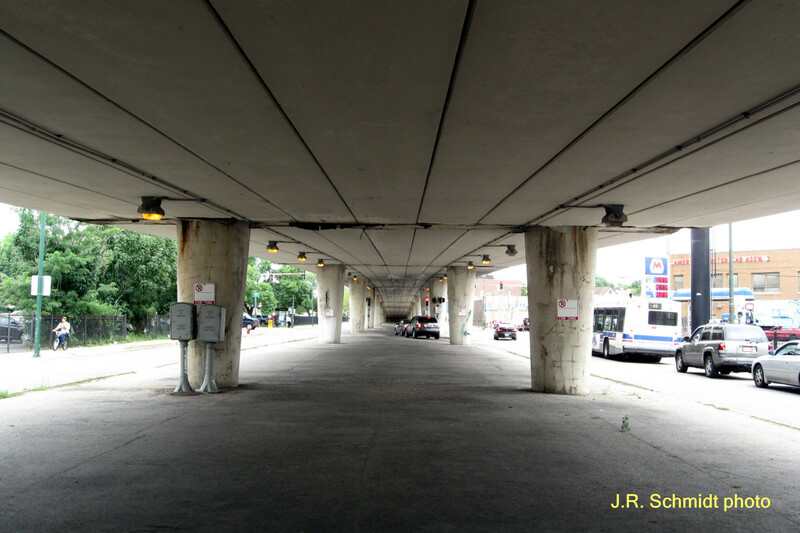 Let’s face it—the overpass here was ugly. 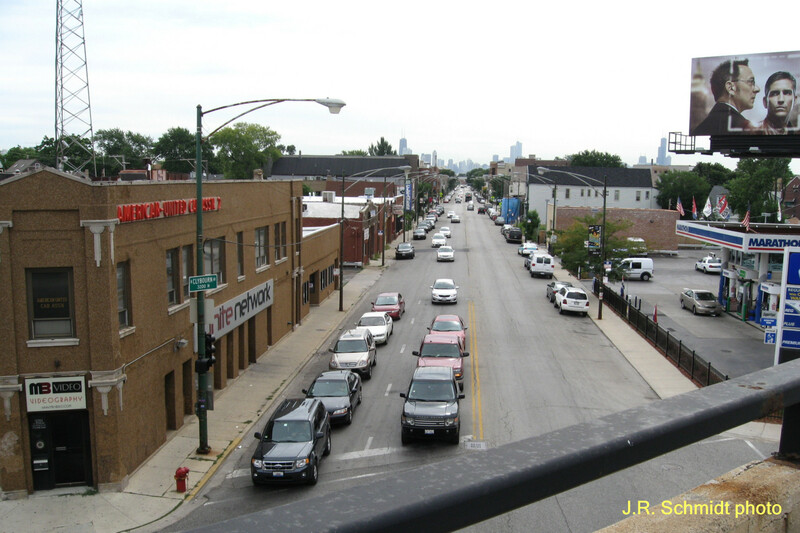 I’d already taken a number of photos on and around the overpass in 2011, and I ran a couple of them with the article. I’m posting a few more now, because they will have some historic significance. Two of the vistas will never be available to you again—unless you get a snorkel lift. Plans for the revamped intersection certainly look good on paper. I do wonder what traffic will be like here in the future. Only time will tell whether we have now gone too far in the other direction, and sacrificed function in favor of aesthetics. I don’t care how ugly it was, it should’ve been rebuilt. It was a terrific time saver & allowed people to avoid an overcrowded five corner intersection. More short-sighted lack of planning by Rahm, who’s just following in that foll Daley’s path. 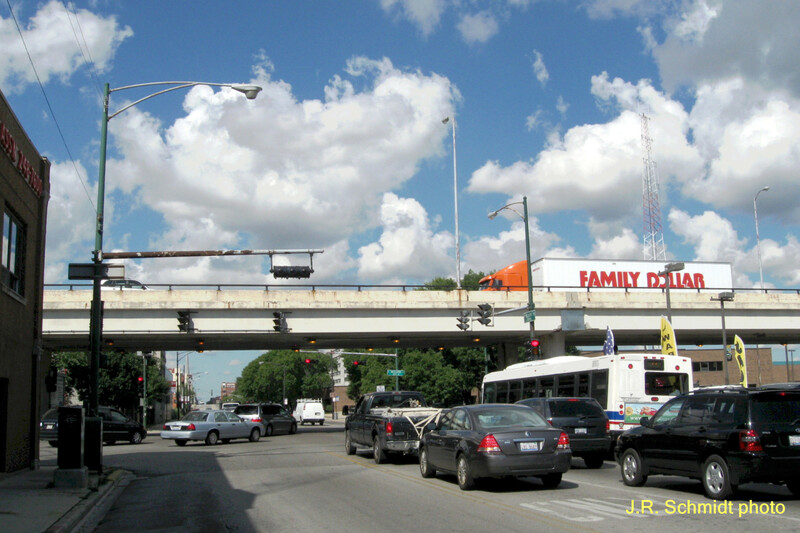 Daley wrecked the Archer/Ashland overpass. In Niles, the Dempster tunnel under Milwaukee is great & when Niles had the county make it four lanes years ago, it became better. 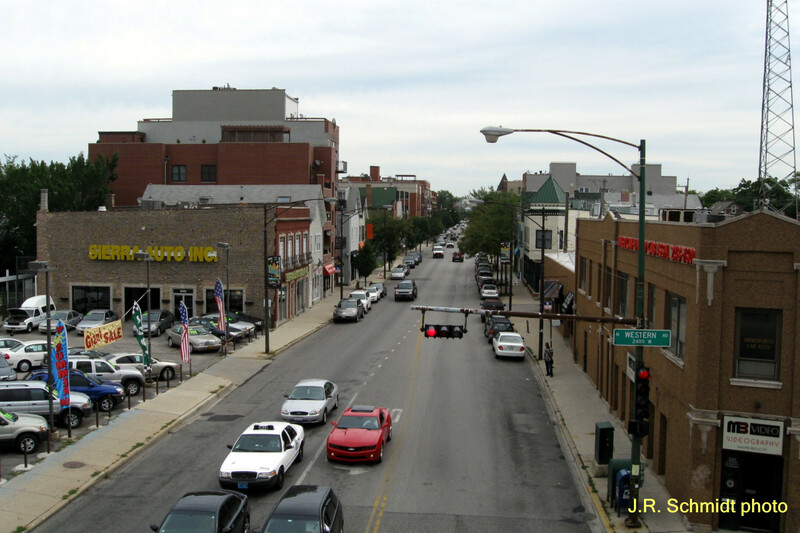 Now, when are they going to fix that insane Cumberland Circle in Des Plaines? As you’ll note from my last paragraph, I’m skeptical about getting rid of the overpasses. But I do like having a sample traffic circle at Golf-Wolf in Des Plaines—as long as they don’t build others like it. The Cumberland Circle problem is that Golf Road doesn’t exit the Circle straight ahead there. Going west, you go 240 degrees around it & going east, just 100 degrees. If you exit where you think Golf should be going west, you end up on State Road & then on Northwest Highway. Plus one of theses days, they’re going to have to widen the tunnel under Northwest & the railroad & maybe this time, they’ll allow for a future expansion of the roadway. My dad worked for the county highway dept. back in the 1930s, was in the NW burbs every day & even he got confused by this idiotic thing when we went through it in the 1950s! Sorry, my passion against turnabouts made me miss my original comment. It’s really too bad about the overpass being gone. Always thought it was wonderful from both a functional and aesthetic point of view. In an odd sort of way, it was a reminder of what was once Riverview. Yes, us geezers are getting older, and less and less people remember and wax poetic about Riverview, but…there was still the bypass function. CBS just ran a thing about road rage. I can’t believe letting drivers avoid traffic is ever a bad thing.